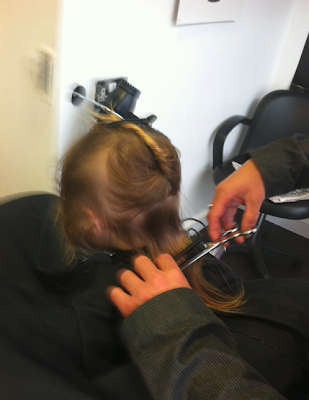 Jovial Spondoodles: Eden's First Haircut! 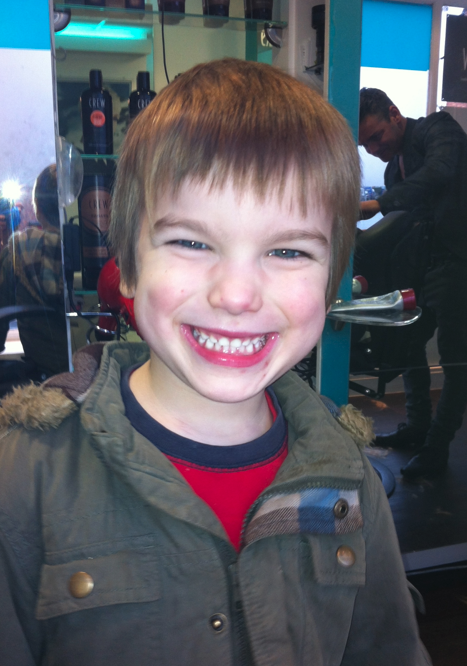 It was finally the time today for Eden to have his first hair cut. 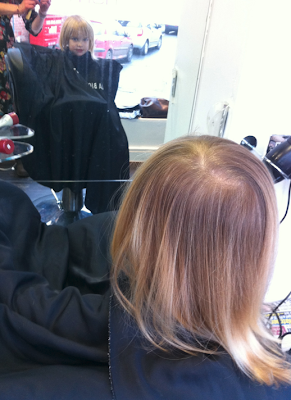 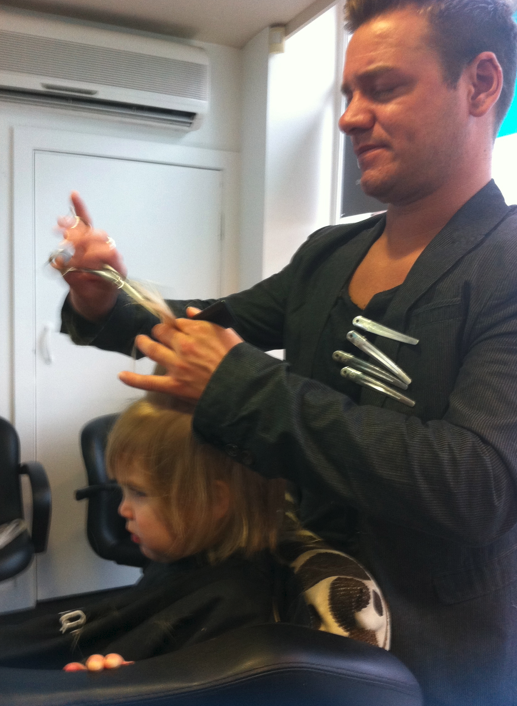 We went to Ekko in town where James cuts Joplin's hair and is great with kids as well as hair. Eden was delighted when he got to sit in the chair this time instead of Joplin. Whilst waiting, Eden thought it was wonderful to sit and look at himself in the big mirror, and he became cross with Joplin when he got in the way of his reflection! I was amazed at how calm Eden was as his hair was cut - he was almost in a trance! 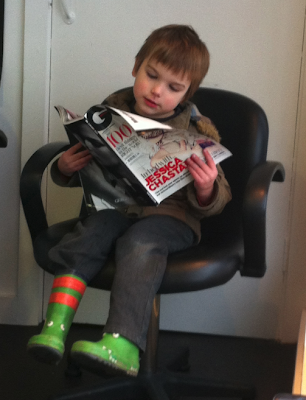 He really behaved fantastically, and Joplin settled in with a copy of GQ! 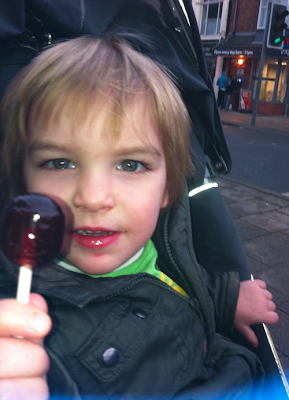 He looked so smart with a really cute shaggy surfer / pixie cut at the end - wouldn't pose for a proper picture of course, but both were rather pleased with their lollypops at the end! 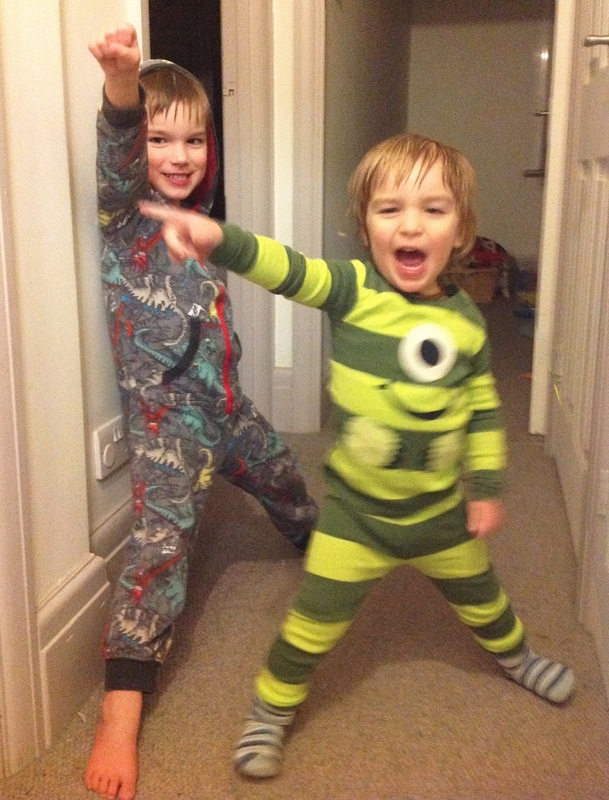 Rainbow Bath Week - Day 1: RED!